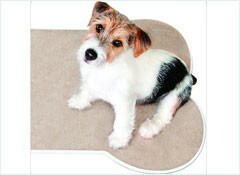 Check out this latest review on our Pet Mat on AOL’s Paw Nation. How good do I look? Keep your house from being covered in muddy paw prints and wet dog hair with these 4 great products. This entry was posted on Tuesday, April 12th, 2011 at 1:59 PM. It is filed under Blog. You can follow any responses to this entry through the RSS 2.0 feed.